For the last 2.5 billion years, surface life on Earth has thrived largely due to the evolution of photosynthesis. Surface life is abundant and very successful because of the availability of sunlight, surface water, generally moderate climate conditions, and the protection of our magnetic field. But the planet Mars would have never experienced such habitable conditions at the surface. The false color image above from the HiRISE instrument aboard NASA's Mars Reconnaissance Orbiter shows amazing diversity of rocks exhumed from the Martian subsurface a meteor impact in the Nili Fossae area. The image is 1 km across. 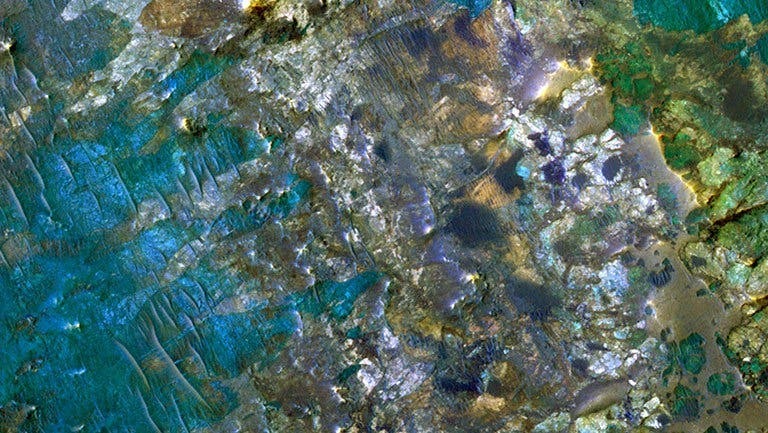 This site and others like it contain rocks that were altered by fluids in the Martian crust billions of years ago, at the time when life first emerged on Earth. These rocks represent exploration targets that could teach us about the origin of life. Joseph Michalski with the Earth Sciences & Laboratory for Space Research at The University of Hong Kong (HKU) and colleagues published results in Nature Astronomy showing that the climate of Mars has probably been extremely cold and dry most of the time. They argue that the familiar aqueous features on Mars included widespread, weathered soil horizons, could have formed in geologically short climate "excursions." In other words, Mars was cold and dry throughout its history and only had abundant liquid water at its surface during short episodes of climate change. However, all hope for life on Mars is not lost. In another paper led by Michalski, the scientists point out that the prospects for surface life on Mars might be dim, but the possibilities for subsurface life are promising. 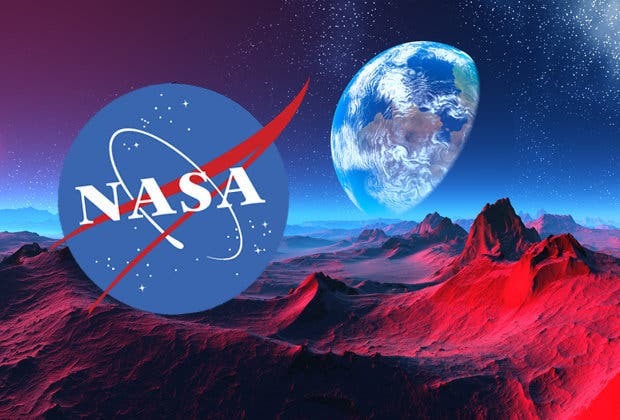 Life on Earth likely began in hydrothermal systems (environments where hot water reacts with rocks), and there is abundant evidence for many locations where hydrothermal environments exists on Mars at the time when life might have originated in similar environments on Earth. Michalski and his team explore Mars using remote sensing and infrared spectroscopy. Using infrared data collected at Mars by spacecraft, they can interpret which minerals are there and describe the geology of ancient hydrothermal systems. This type of work is based on laboratory measurements, which provide the required mineralogical background in which to interpret spectroscopic data from Mars. The HKU Faculty of Sciences new Infrared Spectroscopy Laboratory is a facility where scientists from around the world can come to measure geological samples in order to compare the measured spectra to data from returned from spacecraft. Michalski and his team use infrared measurements of hydrothermal minerals as a basis to interpret the detection of important minerals on Mars. "This is an extraordinarily exciting time in Mars exploration" said Michalski. "We are getting very close to being able to detect evidence of ancient life on Mars or, perhaps more importantly, the chemical building blocks on which life forms."